The civil rights leader, Martin Luther King Jr., came to Fresno in the summer of 1964 to lead a march calling for fair housing conditions for African Americans. And the person who helped bring him here, Mattie Meyers, was a civil rights leader in her own right and a tenacious fighter for equal education in the valley. She called for an end to de facto segregation in the schools in Fresno. She died in 2017 but her son Earl Meyers Jr. still lives in Fresno. In honor of Martin Luther King Jr. Day, FM 89 News Director Alice Daniel spoke with Meyers about his mother’s legacy. 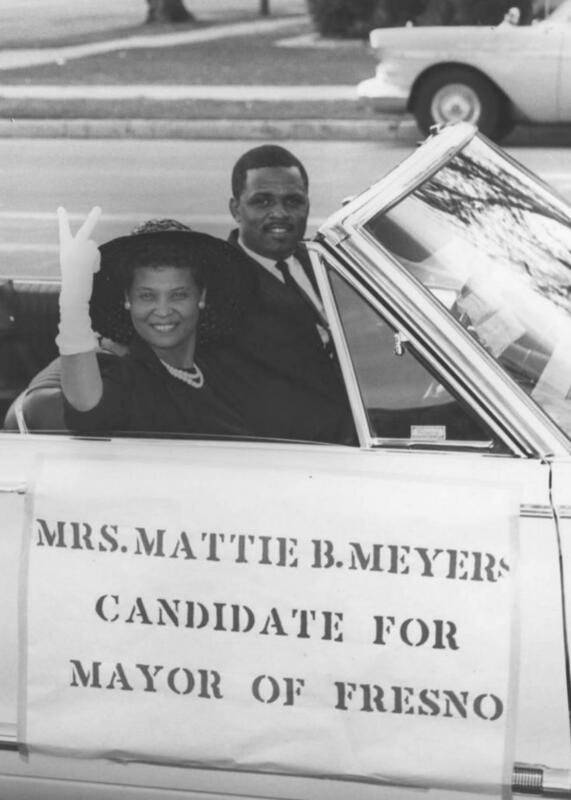 Mattie Meyers ran for mayor of Fresno in 1965.